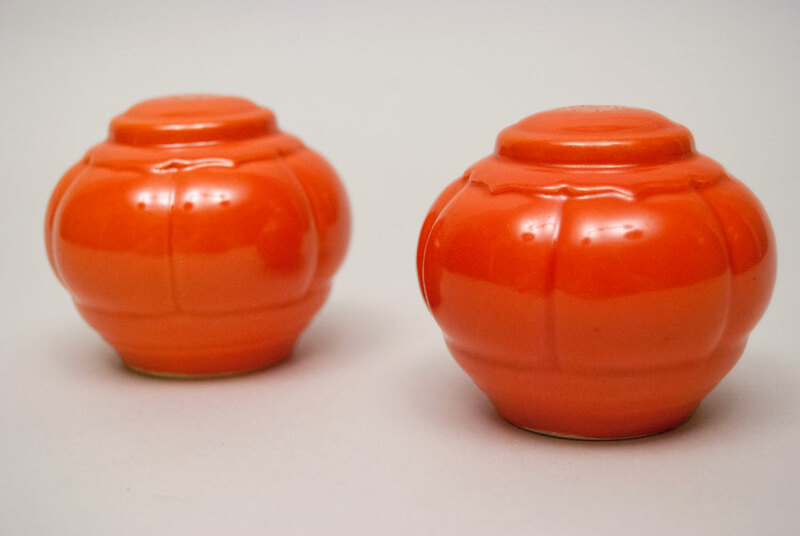 Circa 1937-1944: Vintage Riviera pottery, produced during the 30s and early 40s by the Homer Laughlin Pottery company, has a charm that finds it's way into all our hearts. 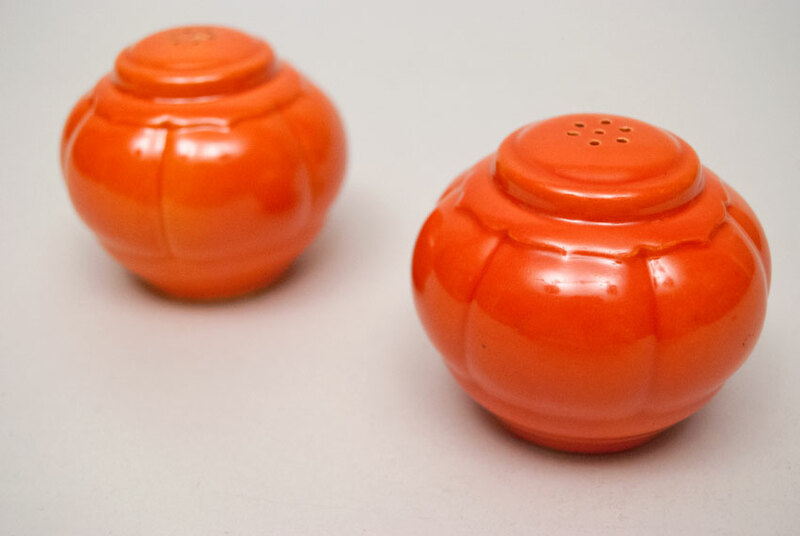 The simple salt and pepper shakers have so much attention to design and details, it's no wonder the pottery is still extremely popular and highly sought after today. 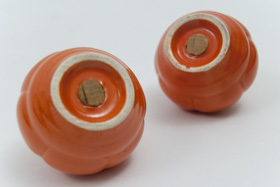 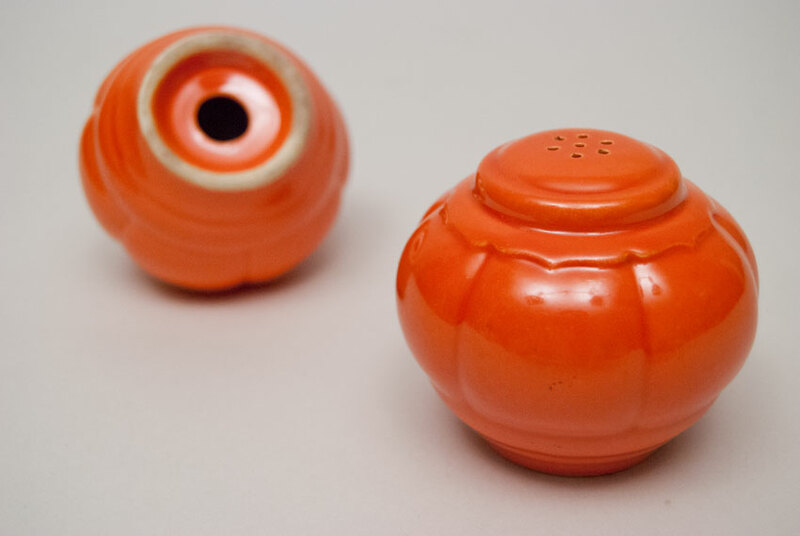 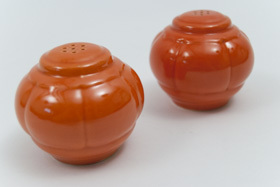 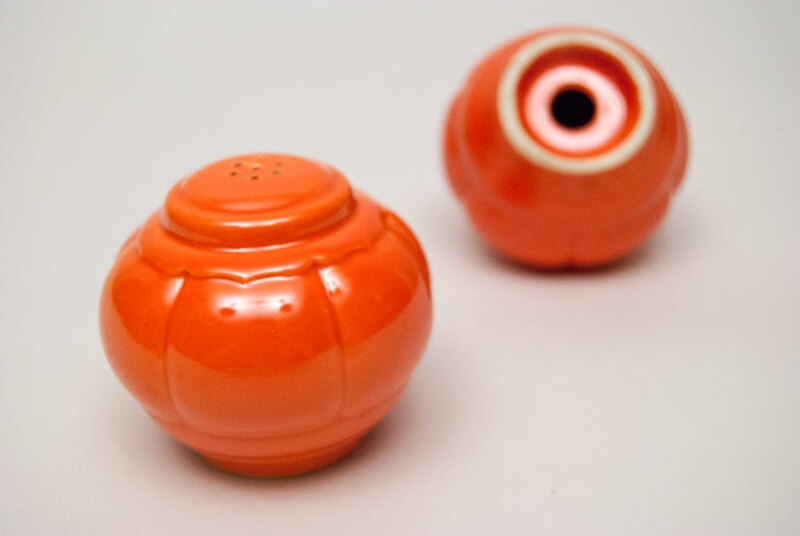 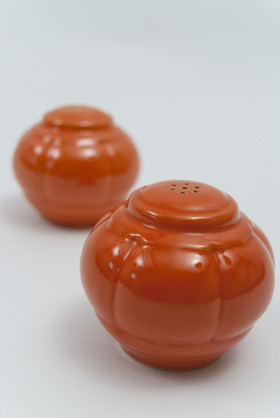 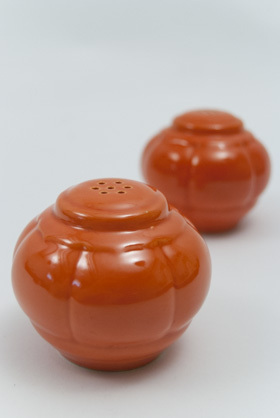 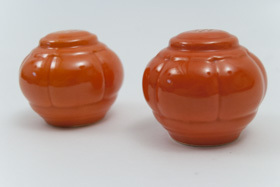 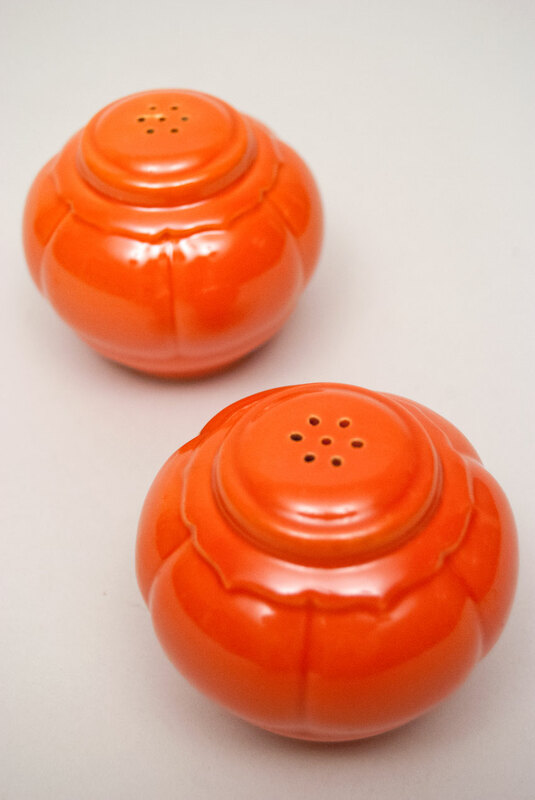 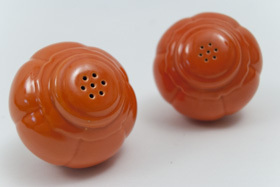 This example of the vintage Riviera salt and pepper shakers in the original red glaze is in perfect, collector quality condition.